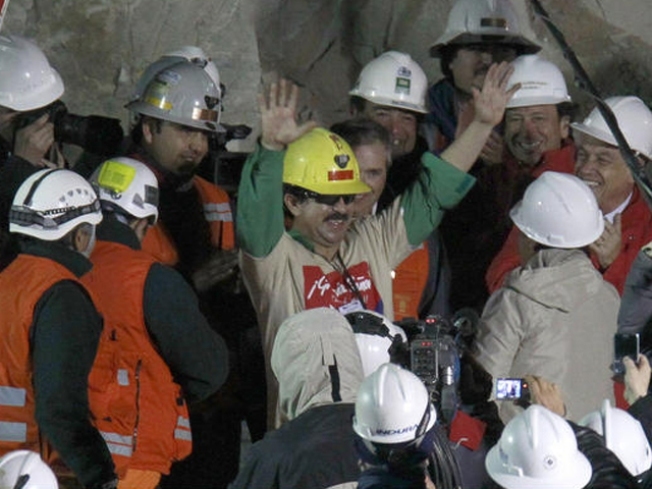 Thousands of runners will compete in the New York City Marathon this weekend, but only one will have done his training a mile underground in a Chilean mine. Edison Pena, one of 33 miners who spent 69 days trapped in a gold and copper mine before being rescued Oct. 13, killed time and kept in shape by logging up to six miles a day jogging through tunnels andlistening to Elvis Presley on his iPod. When his story became known, marathon officials invited Pena to watch Sunday's race. They thought he could ride in the lead vehicle or hold the finish line tape, but never expected the Chilean consulate to tell them Pena wanted to run. "He absolutely, 100 percent wants to participate,'' New York Road Runners President Mary Wittenberg said at a luncheon Monday in New York. “The ING New York City Marathon is all about inspiration and perseverance, and those values were never more evident than during the survival and rescue of Edison and his brothers in that mine,” said Wittenberg. "He demonstrated how running can play an important role in our physical and emotional well-being under any circumstances. On behalf of the entire City of New York, we are honored to have him join us for this year’s race," she said. His race-week and race-day schedule and plans are still being finalized.